Research on the effectiveness of critical thinking education can be discouraging, as can research on debiasing: our educational techniques and intuitive strategies can be ineffective and even backfire. New options are badly needed and today several were proposed, a number trying to exploit the social contexts of reasoning and account for the context-specificity of critical thinking skills. As on the first day, we began with robust empirical research and progressed to the more theoretical and speculative. 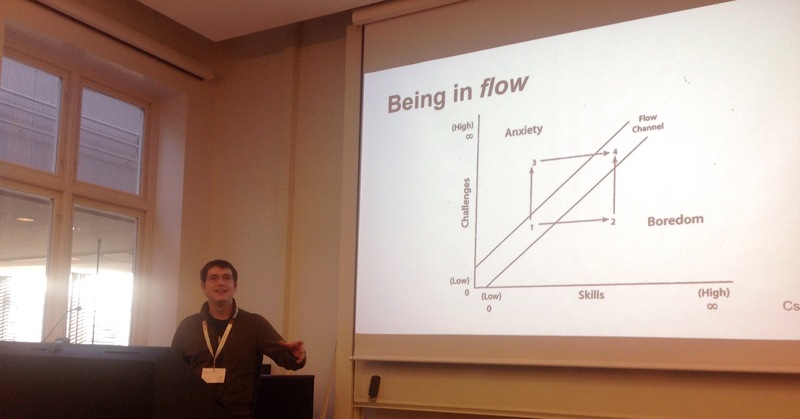 Jean Francois Bonnefon’s studies of how people reason on social networks suggests they are poor for debate, encouraging belief polarization, and discourage critical thinking understood as “system 2” cognition in dual process theory. How social networks help reasoning may be primarily through the facilitation of fact checking. The social theme continued as Moira Howes directed us to consider the emotional dimensions of bias. 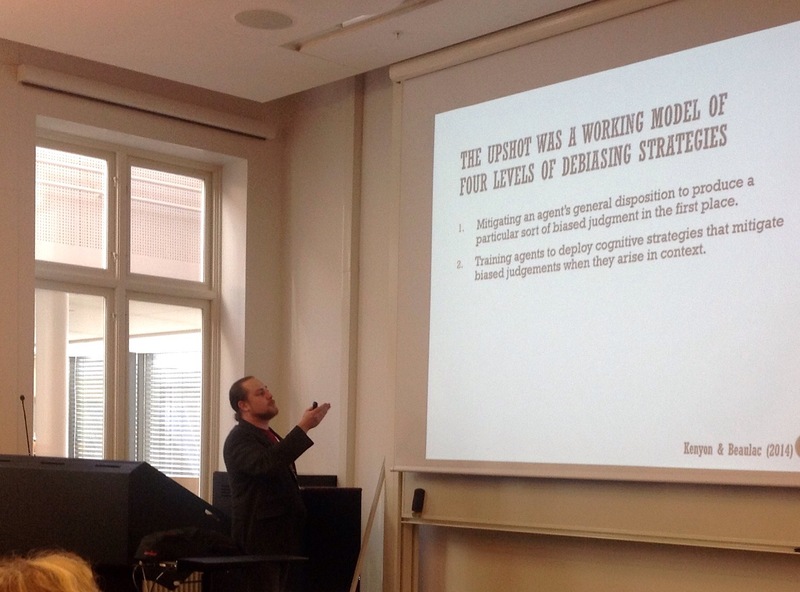 Standard texts direct us to consider omissions and loaded language, and such techniques may be ‘stepping stones’ to support debiasing strategies. However, debiasing is not a finite task, and depends on regular practice, like dental flossing. Epistemic virtues seem helpful in debiasing, which suggests the utility of developing communities and courses that aid people in emotional regulation, perhaps even epistemic psychotherapy! (1) mitigating an agent’s general disposition to produce a particular sort of biased judgement in the first place; (2) training agents to deploy cognitive strategies that mitigate biased judgements when they arise in context (typical CT); (3) training agents (individually or collectively) to create and defer to situational ‘nudges’ that debias otherwise distorted judgements in context; (4) training agents (individually or collectively) to create and defer to processes or other situational constraints that debias actions or outcomes. The last two are, like Moira’s, fairly radical suggestions, painting a picture of critical thinking that is quite unfamiliar, and perhaps for that reason especially valuable. 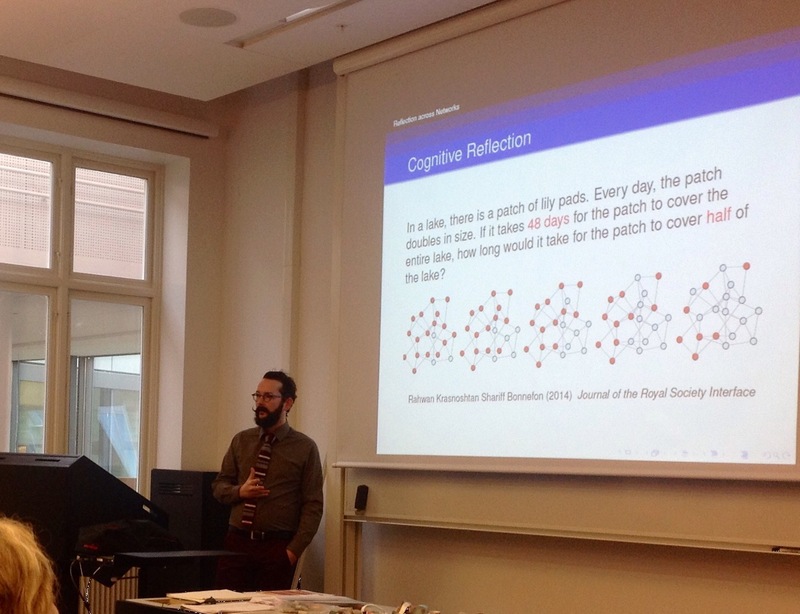 The next two speakers addressed specific forms of reasoning that may facilitate the learning of critical thinking. 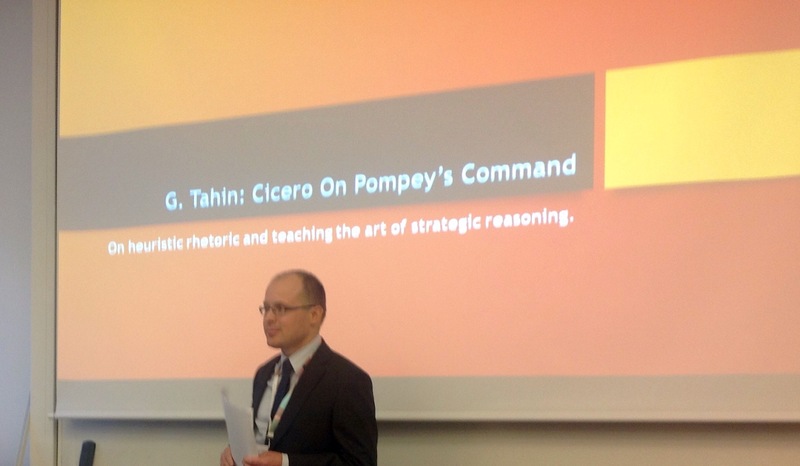 Classical oratory remains relevant, Gabor Tahin urged, and analyzing it involves the psychology of decision making and modern argumentation theory. We might say education in classical oratory provides a type of literacy that fosters critical thinking, as gaming literacy provides a type of a critical thinking conducive to scientific method, according to Kelvin Autenrieth, who presented the idea, and Ulrich Wechselberger. 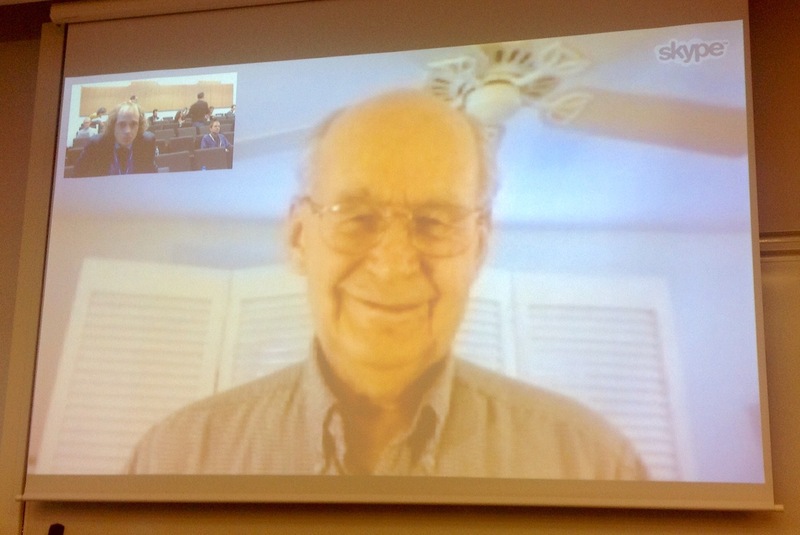 The day ended with a Skype presentation from Bob Ennis, a grand-daddy of critical thinking who dispelled the notion that he might have coined the phrase. Ennis painted for us a detailed account of an ideal critical thinking education, integrated as part of a four-year post-secondary education. Ennis aimed to address both subject-specific needs for critical thinking and those not related to specific subject content, and also to weave the CT instruction into the program or course such that it would not take extra time. He named his program the Wisdom Conception hof Thinking Critically Across the Curriculum — Wisdom CTAC (or alternately Illinois CTAC). Previous Post Talk data to me! Thank you for your ongoing updates on this. This reflects my own work on cognitive science and its implications for critical thinking. The cognitive science, neuroscience, behavioural economics work on human cognition creates serious challenges to the way Critical Thinking/Informal Logic is taught and the effectiveness of that teaching. A key element, often overlooked is the social support for critical thinking. What we need is an integrative framework that pulls together the logic (informal), argumentation (interpersonal dynamics and constitutive practices) and the social milieu (structures and systems) that make real critical thinking and the learning of critical thinking possible. Looking forward to your further comments on the conference. Thanks Jean! I hope we — all — can continue to build this discussion at OSSA in 2016. Excellent update. Thank you for it!